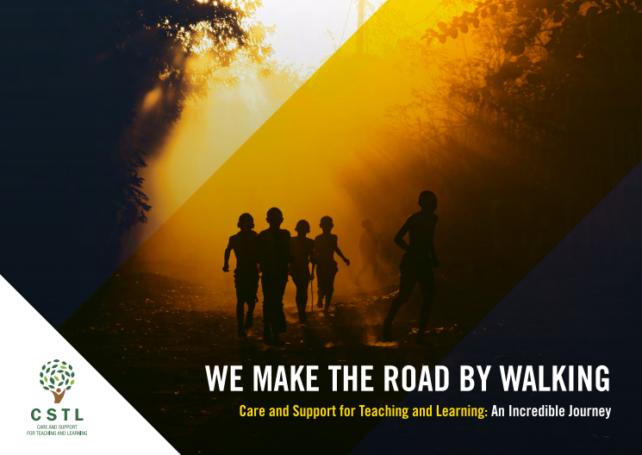 The Care and Support for Teaching and Learning (CSTL) Programme is a powerful example of how an NGO-initiated pilot project developed into a region-wide government commitment providing effective methodology for systems strengthening. Through a collaboration between the SADC Secretariat, the Swiss Agency for Development and Cooperation, MIET AFRICA, Member States and partners, a local idea became a shared regional commitment. MIET AFRICA was recently invited by Norcros SA, through Tile Africa, to visit four primary schools in Gauteng to conduct WASH Training. 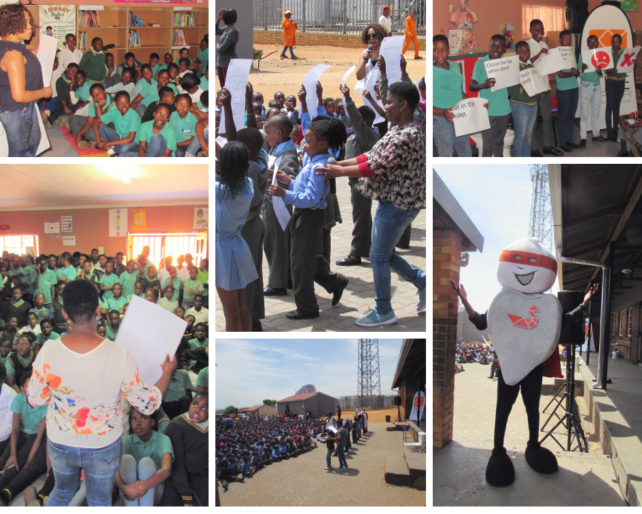 This is part of Norcros SA educational programme to educate learners on how to safely use and take care of their school toilets. Norcros SA started a corporate social investment project in 2017 to refurbish ablution facilities in under – resourced schools. MIET AFRICA’s training facilitators conducted the training to over 2000 learners, and provided materials to schools in what has been described as a very successful initiative. 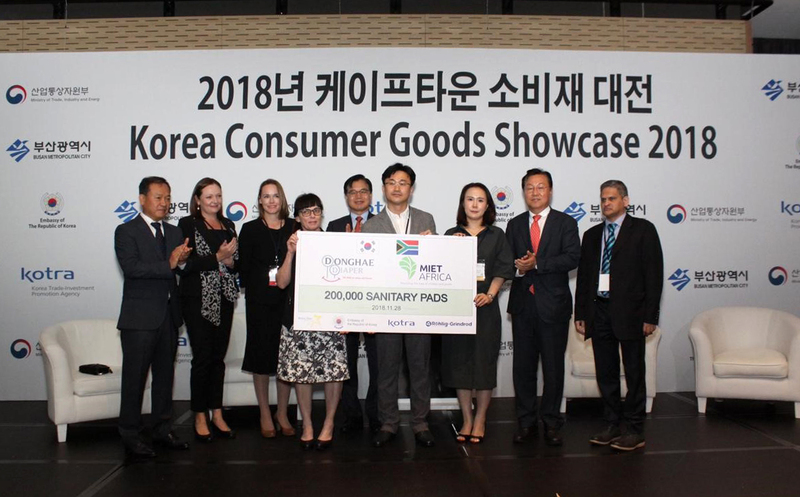 MIET AFRICA’s CEO Beverley Dyason received a generous donation of 200 000 sanitary pads from South Korean-based manufacturer of sanitary pads, tissues and wet wipes, Donghae Diaper at the Korea Consumer Goods Showcase awards held recently in Cape Town. The sanitary pads will be distributed to learners through our school-based programmes, in collaboration with the national Department of Basic Education and Provincial Education Departments. Poor access to sanitary pads causes ongoing monthly absenteeism amongst many female learners, with a negative impact on their academic performance and their dignity. The donation contributes to the enabling conditions for these young women to stay in school and reach their full potential. 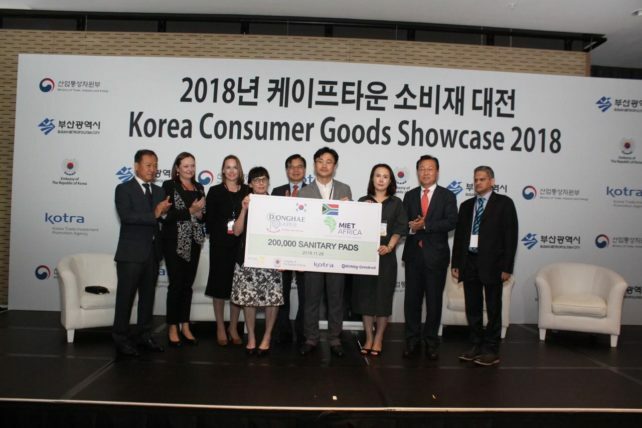 MIET AFRICA is grateful to Donghae Diaper for sharing its vision of a world where all children and youth have access to quality education and development opportunities.